Landlords in one Wisconsin town are hoping to get a reprieve from a rule that makes them liable if their tenants don’t pay for water. Under current law, landlords can be served “pink slips”–add-ons to their property tax bill, every time a tenant walks away from the water bill. On the other hand, when the landlord pays the tax bill, the tenant’s slate is wiped clean, leaving them free to rip off the next landlord, and the next. 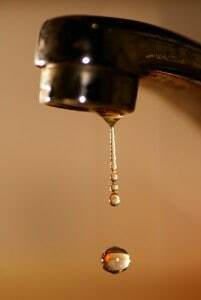 Landlords spoke out at a Fond du Lac city council meeting last week in support of a proposed measure which would place more of the blame for unpaid water on the delinquent tenant who used it. City officials object to the measure, saying if landlords don’t pay, it will increase the cost of water for others in the community. They say landlords should be more careful when selecting tenants. City officials admit they lack the manpower to disconnect power to delinquent tenants, and have no immediate plans to implement such a policy. Because billing occurs on a three-month cycle, landlords often don’t know the tenant is delinquent until they receive their annual tax bill. By then, the tenant could have racked up months of bills. Landlords can sign up with the utility for notification of delinquencies, but that does not change the liability. In fact, a landlord who spoke last week claimed he had just received seven pink slips each totalling about $500 that will be added to his property taxes. He explained that under the current system, it is impossible for a landlord to plan for such an expense. Another landlord raised the point that screening tenants doesn’t avoid the problem, because once a landlord pays the bill via their tax assessment, the tenant’s record is wiped clean. She says that the utility should be more careful to screen customers. Upon further discussion, it was revealed that there currently is no record kept of whether a particular tenant paid the outstanding bill, so once a former landlord pays the tax bill, the delinquent tenant can sign up for water at a new address with no consequences. And because there are no public records of delinquencies, there is no way for a landlord to know if they are renting to a problem tenant. Last year, the city placed about $550,000 in unpaid water bills on the property tax rolls. There is no record of how much of that amount was generated from rental properties. At the end of last week’s hearing, one council member apologized to the landlords in the room and admitted that in earlier meetings he did not fully understand the inequity of the situation. The council decided to roll the discussion to the next meeting to allow more time to explore more viable solutions, which will likely include better notification systems, and a possible deposit system that holds tenants more accountable.